We’d love your help. 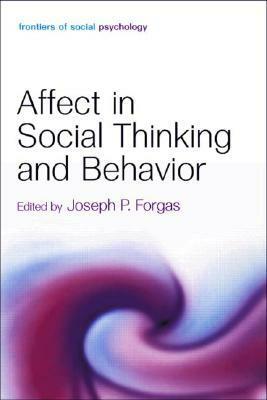 Let us know what’s wrong with this preview of Affect Social Thinking And Behavior by Joseph P. Forgas. The role of affect in how people think and behave in social situations has been a source of fascination to laymen and philosophers since time immemorial. Surprisingly, most of what we know about the role of feelings in social thinking and behavior has been discovered only during the last two decades. Affect in Social Thinking and Behavior reviews and integrates the most re The role of affect in how people think and behave in social situations has been a source of fascination to laymen and philosophers since time immemorial. Surprisingly, most of what we know about the role of feelings in social thinking and behavior has been discovered only during the last two decades. Affect in Social Thinking and Behavior reviews and integrates the most recent research and theories on this exciting topic, and features original contributions reviewing key areas of affect research from leading researchers active in the area. To ask other readers questions about Affect Social Thinking And Behavior, please sign up.